Instant Pot Korean Ribs: Pressure Cooker Baby Back Ribs will become your favorite Instant Pot dinner. These Instant Pot Korean Ribs: Pressure Cooker Baby Back Ribs might be the most delicious meal that I have ever prepared for my family. I couldn’t help but share my most recent electric pressure cooker (aka Instant Pot) discovery with all of you. 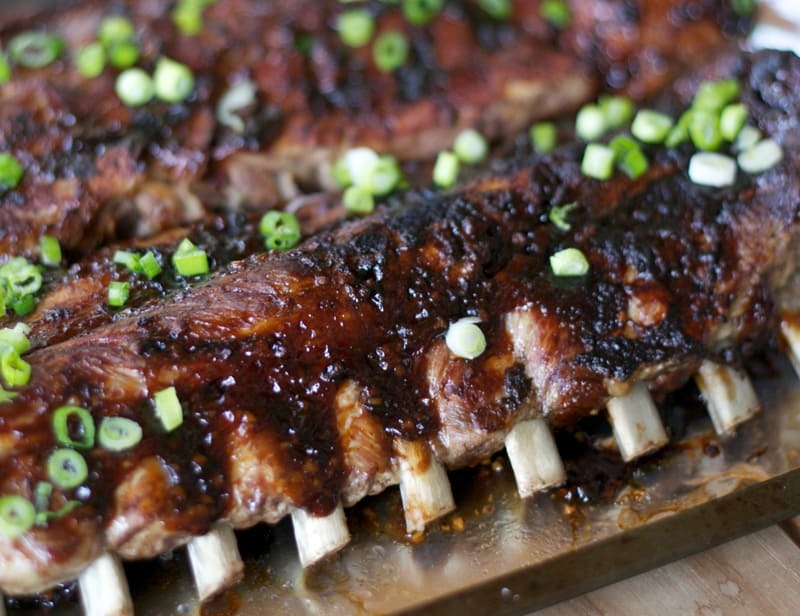 When we lived in California, Baby Back Ribs were one of my go-to meals to cook. When I moved to Texas I found that delicious BBQ anything was as convenient and affordable as fast food. I vowed to never again spend my day making ribs. Now I’ve discovered the electric pressure cooker and given the promise of fall-off-the-bone ribs in under an hour, I couldn’t help but try it at home. 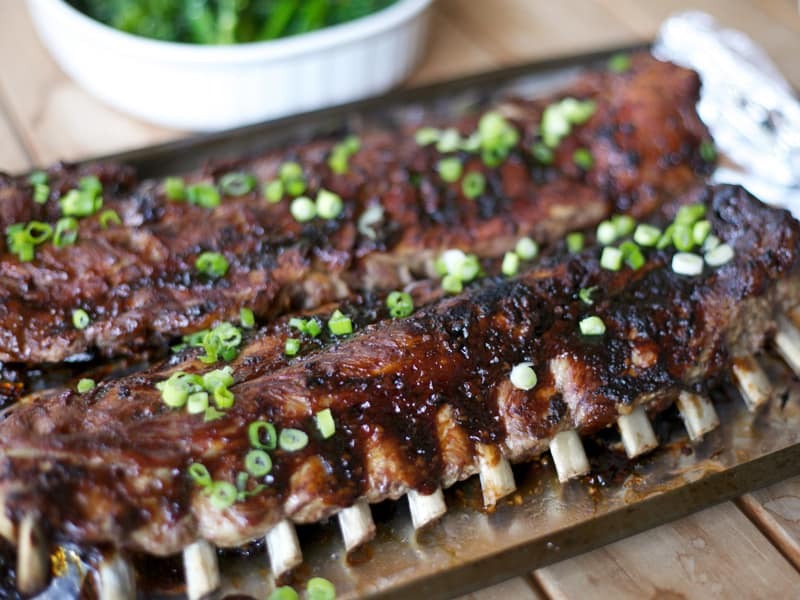 As an added bonus, Instant Pot Korean Ribs: Pressure Cooker Baby Back Ribs features a savory and slightly sweet finger-licking Asian BBQ sauce. It really is perfection. My kids will always choose meals with asian flavors so a recipe like this will always be a crowd pleaser at our house. My son has requested the leftovers for every meal since Monday! Check out this Instant Pot Korean-Style Baby Back Ribs recipe with a video tutorial from Ahjumma. If you would like to try more Popular Instant Pot Recipes, check out our Perfect Instant Pot Chicken Broth which is a great base for homemade chicken noodle soup, Easiest Instant Pot Apple Compote Recipe is a hot and wholesome autumn breakfast, Instant Pot Garlic Pork & Kale Recipe is a savory and delicious dinner full of flavor, Instant Pot Korean Ribs: Pressure Cooker Baby Back Ribs that you will dream about, Instant Pot Pasta Bolognese: One-Pot Penne with Meat Sauce and Instant Pot Penne Vodka Recipe are two pasta dishes that will become regular weeknight staples. What is your favorite Instant Pot recipe? We would love to try everyone’s go-to recipes especially as we head into the holiday season when you can use extra help in the kitchen.